A high quality shopping bag that's made from jute material and is great for the planet! 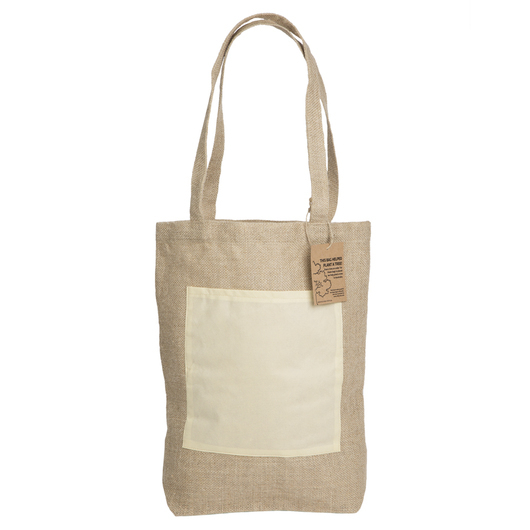 Buying these bags provides a remarkable contribution to the environment. For every 100 units sold, one native tree will be donated for replanting in degraded land right here in Australia. 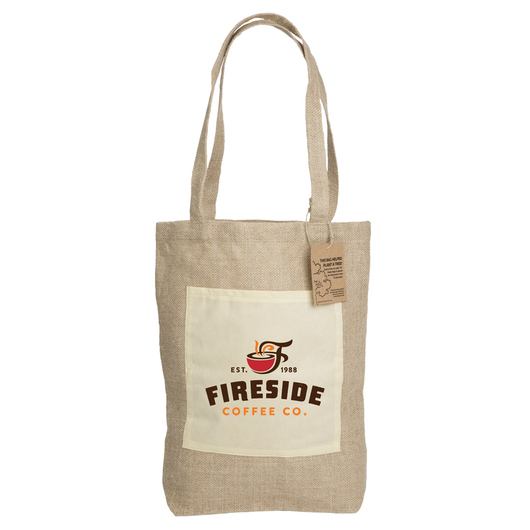 They are also high quality, stylish and a great everyday use or a shopping bag. Not only will native tree's be planted, but you can help to reduce the use of plastic bags too! These bags feature a large print area and front pocket too.